. إن الخدمات التي يقدمها Berenbell Vineyard Retreat تضمن للنزلاء إقامة مريحة. تتضمن الميزات الرئيسية في هذا الفندق: تسجيل وصول/خروج سريع, تخزين الأمتعة, صف السيارات, غرفة عائلية, مرافق للشواء. تتضمن كل غرف النزلاء وسائل الراحة والتسلية المصممة خصيصاً لضمان الراحة القصوى للضيوف. صممت خدمات الاستجمام في الفندق والتي تتضمن مسار جولف - ضمن 3 كم, ركوب الخيل, حديقة لمساعدتك على الاسترخاء والراحة. إن كنت تتطلع إلى إقامة مريحة وهادئة في هانتر فالى، فستجد في Berenbell Vineyard Retreat بيتك الثاني. The cottage was private, clean and comfortable. Ken and Suzie are incredible hosts and went out of their way to assist us. We unreservedly recommend Berenbell - it is excellent. Recently stayed for a day on the green- staffed couldn't have been friendlier and the place is gorgeous!! Great location, overlooking vineyards. Lovely staff. Would definitely recommend. Our stay was humble and enjoyable. Ken and Suzie were sweet and informative. It was our first time at the Hunter and they made it very easy to quickly learn our surroundings. Our fridge was topped up with eggs, bread, orange juice, muffins and more. Very clean, convienient location, and amazing views. Definitely recommend this accommodation for any types of travellers to Hunter Valley. Lovely place and owners very friendly. Views are stunning. Close to some lovely wineries. Felt so amazing this place...like a retreat hotel indeed! 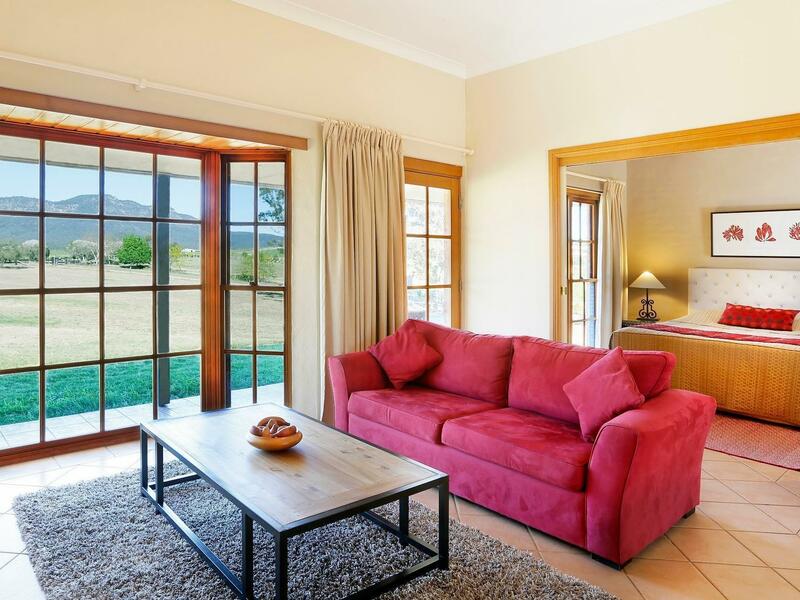 Stunning views of the Brokenback ranges, the one bedroom cottage had everything you needed for a great weekend. It is was private, the owners where friendly but also unobtrusive. Excellent escape away from the city. A beautiful location, very nice staff, very comfortable and livable cottages. We liked being able to sit out on our porch with a great view of vineyards and hillside. The wine and cheese at the vineyard and cheese factory down the road were excellent, as was the dinner at Muse Kitchen, right around the corner. A great choice in the Hunter Valley! Not only is the location stunning, the cottages and staff are one of the best I've experienced. The cottage has spectacular views, and the staff make you feel so welcome. I was really taken by their passion for the job, from giving us all the details we need of the area, to even placing hand baked muffins for us to enjoy at no cost in the fridge. 5 stars all the way. We stayed here as a couple as a bit of a breather before a stressful time - what a great choice! Ken & Suzy were beautiful and welcoming, but left us to our own company. The cottage is sweet, cosy and solid, with a lovely pot-belly stove & big claw bath. The outlook is gorgeous and secluded from other nearby cottages and it was a great base for lots of Hunter Valley exploring. Would love to come & again & bring friends & family! We will defiantly be back and stay there again the villa is a great size but a bit dated inside but that doesn't matter there is a pot fire place and a beautiful bath it was a great location and pure serenity! We will be back, Ken and Suzie the owners were just lovely and willing to help with everything. Also if you want to spoil your loved one go to Muse Dining restaurant absolutely amazing!!! My partner and I stayed in one of the Berenbell cottages for two nights and it was absolutely lovely. The place was extremely comfortable and definitely has your needs in mind. There is plenty of food in the fridge as well as coffee, tea, etc. It was very clean, the bed was comfortable and we loved all the light and windows. The Berenbell is also close to many restaurants as well as a pub and the Hunter Valley Gardens, making it extremely convenient. The only negative thing I could say was that our living area fan was broken, but we even completely forgot about that minutes after we discovered it. There is air conditioning anyway so it wasn't like we needed it. All in all, it was a fantastic stay, and we would definitely stay again. excellent ! Ken and Suzie were very friendly and very knowledgable of the area, accom was amazing... We will be back. Beautifully set out, private, high standard of facilities, hosts. We stayed here as a group of 3 couples and each had our own 1 bedroom cottage. These are simply lovely. 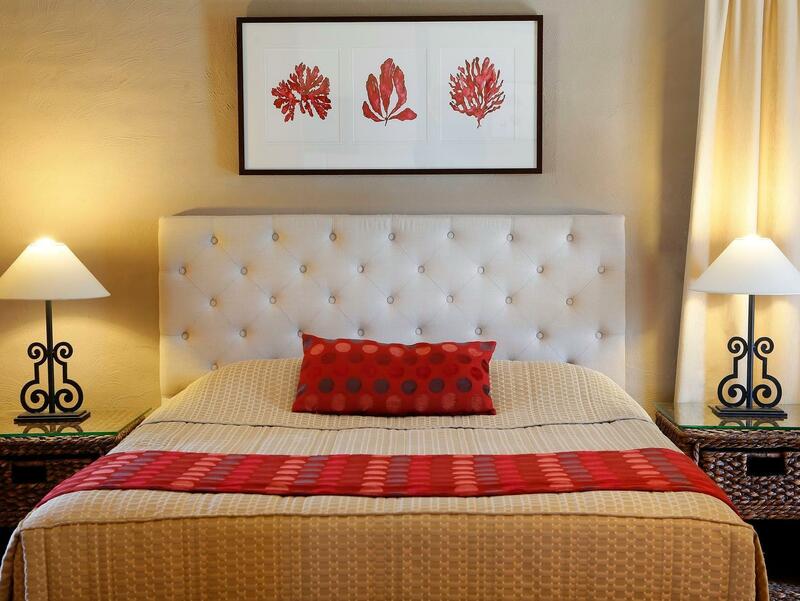 Well set out and furnished - everything you need for a comfortable stay. The shower is the best! Complimentary wines and breakfasts are a lovely touch. We all loved it so much we re-booked for the same time next year. Thank you for a lovely weekend away.